When you want to say, Im thinking of you, a small rose bouquet can be the right choice. 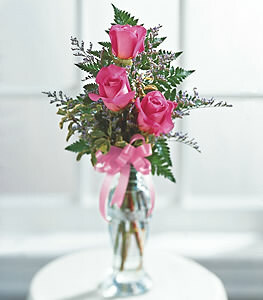 This petite bouquet features 3 roses in glass bud vase, tied with a ribbon. Thanks Service Team. I wll use your services in the future.